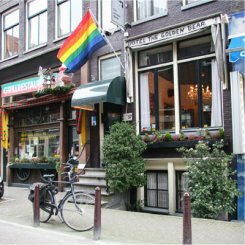 Gay Hotel Amsterdam - Where to Find Gay-Friendly Accomodation in Amsterdam? 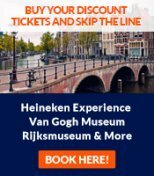 Gay Hotel Amsterdam - Where to Find Gay-Friendly Accommodation in Amsterdam? For every great gay hotel Amsterdam has to offer, there is a cheap seedy hostel to avoid, so knowing where to stay can make or break your trip. 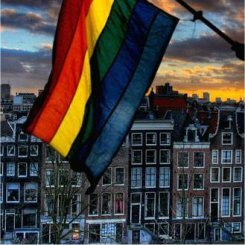 Amsterdam has a few exclusively gay hotels and more than a few hotels that are considered gay friendly. Here's the list. The first gay hotel Amsterdam ever saw, the Golden Bear was established in the 1940s and has been a feature of the city ever since. Located close to Leidseplein and of course all the gay bars and clubs that call Kerkstraat their home, the Golden Bear is a good place to stay to be close to all the action. The hotel has 11 rooms, some with private facilities, some with shared and all with a safety deposit box, TV and fridge as standard. A complimentary breakfast is served between 08:30 and 12:00 for early risers, while WiFi in the rooms means the rest of us can lie in bed and surf the web. Proud to call itself the most popular gay hotel Amsterdam has, Amistad is a friendly and stylish hotel found close to the Golden Bear in the centre of the city's gay district. Hotel Amistad's rooms are stylishly designed and come in deluxe, ensuite and standard varieties. All rooms come with the usual TV, safe and minibar as well as an internet ready PC so your Facebook account doesn't have to suffer just because you're on holiday. For those staying in the hotel, a breakfast is available until 13:00, while if you choose to stay in one of Amistad's self catering apartments there are all the facilities to create your own culinary delights. Another hotel on the Kerkstraat, Hotel Downtown is not exclusively gay, but is certainly gay friendly. The hotel has 24 rooms with ensuite facilities and TV as standard, including family rooms for groups that wish to stay together. Room rate include breakfast and change depending on the season, with high season being from April 1st to October 1st. A nice alternative to an exclusively gay hotel, Amsterdam's Quentin and Quentin England are both gay friendly, charming hotels with a lot of character. The Quentin England takes up an English style building on Roemer Visscherstraat, close to the Museumplein and all of its attractions while the Quentin itself can be found on a quiet street just off busy Leidseplein. Both hotels are neat and well run, with a TV and telephone in every room, the Quentin England also boasts private ensuite facilities. Visit the Quentin England close to the museums at Roemer Visscherstraat 30, while the Quentin Hotel can found at Leidsekade 89. Some other gay friendly hotels worth checking out in Amsterdam include the Mövenpick Hotel close to the train station at Piet Heinkade , ITC Hotel at Prinsengracht 1051 and Hotel CC in the heart of the leather district at Warmoesstraat 42. Now that you've found a nice gay hotel, Amsterdam has many attractions of interest to the gay community that are worth a visit. Chief among these is the Homomonument, found beside the Westerkerk, near to the Anne Frank House. This monument commemorates all the homosexual victims of oppression and persecution who have suffered because of their sexuality. The canal side steps of the monument are a popular place to lay wreaths and take a moment of quiet reflection before popping across to the Pink Point information stand to get the latest news on parties and gay events. Of course it hardly needs to be said that the biggest gay event in Amsterdam is the Pride weekend, which occurs the first weekend of August every year since 1996. During this weekend parties spill out onto the streets, the parade takes to the canals and every gay hotel Amsterdam has is booked up well in advance, so plan ahead!